On the 3rd Tuesday of each month at 7PM ET, short sale expert Kimberlee Frank will spend an hour answering your questions on investing in short sales and helping save people from foreclosure. If you are thinking about investing in short sales, are currently investing in short sales, or perhaps quit doing short sales in the past due to the negotiating hassles, this is a webcast you don’t want to miss. Register Now for the Webcast! 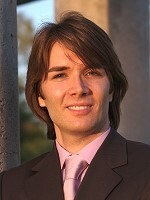 Thursday, Sept 16th: Atlanta REIA Webcast – Does Your Website Need an Extreme Search Engine Makeover? Starting on Sept 20th, 2010, Dustin Griffin, along with many other real estate investors and entrepreneurs in Atlanta, Orlando and scattered throughout the USA will be embarking on a 90 Day Extreme Search Engine Optimization (SEO) and Search Engine Marketing (SEM) Makeover in efforts to get their web sites, pages and profiles dominating the first page of major search engines such as Google, Yahoo, Bing and other quicker than they ever thought possible! Register for this Webcast to Learn More! 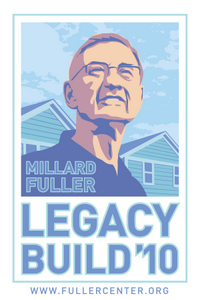 If you haven’t yet come out and joined Atlanta REIA and the Fuller Center of Atlanta on Project Lakewood yet, now is the perfect opportunity for you to get involved and help us build, renovate and repair more homes for needy Atlanta families than ever before! On September 18th at 9:30 AM, we will be meeting at the newly renovated house we just completed at 10 Gould Street to start power washing, scraping and painting a dilapidated, owner occupied house just down the street. We need your help so please come lend a hand. RSVP on Facebook Now! Monday, Sept 20th: The 90 Day Extreme Internet Marketing Makeover Workshop Begins! Starting on September 20th, Dustin Griffin is kicking off the 800 Lb Guerrilla Internet Marketing 90 Day Extreme Makeover and would love for you to participate and show you what you can achieve online with the proper training, a little hard work and a 90 day action plan to get it done. Dustin is going to show you how to take your Internet presence from zero to hero in 90 short days so you can generate more leads online than ever before! See more info about this upcoming event. 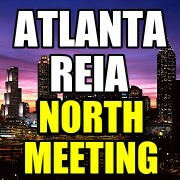 Atlanta REIA North is a subchapter of the Atlanta Real Estate Investors Alliance that meetings on the 3rd Tuesday of each month at from 6:00 PM to 8:00 PM at 1960 Skylar Hill Dr, Suite D, Buford, Georgia in North Gwinnett County just a few miles from the Mall of Georgia. 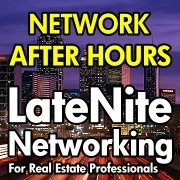 Like the Main Atlanta REIA Monthly Meeting, this subchapter will be led by Dustin Griffin and Gordon Catts and will focus on a wide variety of cutting edge real estate investing strategies with a special emphasis on Internet Marketing and Technology for the modern day “High Tech Investor”. The cost is $5.00 at the door for non-members. On the 4th Thursday of the each month at 7PM ET, we will be bringing in local and national real estate industry experts for an interactive exchange of ideas, information and questions and answers on a wide variety of real estate investing topics. Whether you are new to investing or have been doing it for years, this webcast training series is designed to expose you to a wide variety of real estate industry experts and give you an opportunity to hear what they do and ask them questions and get straight answers. This is a NO SALES, TRAINING ONLY webcast. Register for the Webcast Now! We’ve been working diligently to expand our new Atlanta REIA group we started in June 2010 and greatly appreciate all of your ongoing support. This post is designed to keep you updated on what we’ve been up to lately. Be sure to check to Join Our Email List so we can email you all of our latest updates and event notifications. 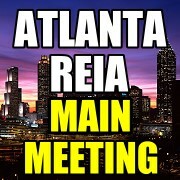 Our Atlanta REIA Main Monthly Meeting is TONIGHT! We are looking for volunteers this Saturday and every other Saturday to come out and help us eliminate poverty and sub-standard housing for local area residents. We meet at 9:00 AM at 10 Gould Street in Lakewood (Atlanta, GA) and usually work until 3:30 PM. Snacks and beverages are provided. Join us and you will get hand-on experience as we build, renovate and repair homes for some of Atlanta’s neediest citizens and families. Thanks in advance for your participation! See our Event Calendar for a schedule of Saturday Volunteer Workdays. What’s Hot in Real Estate Investing – On the 1st Thursday of each month at 7PM ET, we will be bringing in local and national real estate industry experts to tell us what’s hot, what’s not and how to make money investing in real estate right now! Whether you are a new or seasoned investor, this webcast training series is designed to expose you to a wide variety of traditional and cutting edge real estate investing techniques that you can use to make substantial amounts of money in today’s real estate market. This is a NO SALES, TRAINING ONLY webcast. Register for the Webcast Now! Real Estate Business Opportunities – On the 3rd Thursday of each month at 7PM ET, we will be bringing in local and national real estate industry experts with a product, service, training or business opportunity to present to you for your information and consideration. This webcast is designed to expose you to a variety of real estate investing opportunities to help you dramatically expand your real estate business. Even though this is a SALES webcast, 95% must be TRAINING and only 5% SELLING. Register for the Webcast Now! An Evening with a Real Estate Expert – On the 4th Thursday of the each month at 7PM ET, we will be bringing in local and national real estate industry experts for an interactive exchange of ideas, information and questions and answers on a wide variety of real estate investing topics. Whether you are new to investing or have been doing it for years, this webcast training series is designed to expose you to a wide variety of real estate industry experts and give you an opportunity to hear what they do and ask them questions and get straight answers. This is a NO SALES, TRAINING ONLY webcast. Register for the Webcast Now! Foreclosures Gone Wild – On the 3rd Tuesday of each month at 7PM ET, short sale expert Kimberlee Frank will spend an hour answering your questions on investing in short sales and helping save people from foreclosure. If you are thinking about investing in short sales, are currently investing in short sales, or perhaps quit doing short sales in the past due to the negotiating hassles, this is a webcast you don’t want to miss. Register Now for the Webcast! 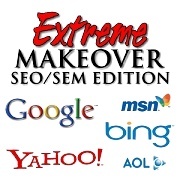 Are you ready for an “Extreme Search Engine Makeover” for your websites? Would you like to learn how to “Totally Dominate the Major Search Engines and Your Local Competition Online in the Next 90 Days?” Starting on Sept 20th, 2010, Dustin Griffin, along with many other real estate investors and entrepreneurs in Atlanta, Orlando and scattered throughout the USA will be embarking on a 90 Day Extreme Search Engine Optimization (SEO) and Search Engine Marketing (SEM) Makeover in efforts to get their web sites, pages and profiles dominating the first page of major search engines such as Google, Yahoo, Bing and other quicker than they ever thought possible! To learn how you can too, Register for Upcoming Webcast on Sept 16th at 7PM ET. 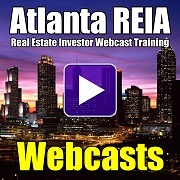 As Atlanta REIA works to expand it’s real estate training agenda, we are looking for active local and national real estate experts to teach topics within there area of expertise to our members at our meetings, seminars, workshops and webcasts. If your interested in volunteering to teach, please contact us here. Marc Fordham, leader of the Atlanta REIA South group has canceled the September meeting to spend his wedding anniversary with his lovely wife. 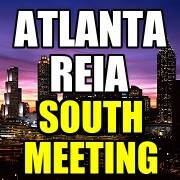 If you were planning on attending this meeting, please attend our Atlanta REIA Main Meeting on Sept 6th or our Atlanta REIA North Meeting on Sept 21st instead. 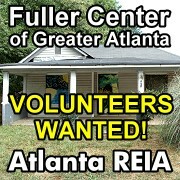 Take the survey on the right side of the AtlantaREIA.com home page and make your voice heard! 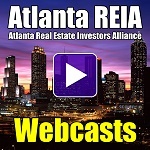 Be sure to join our Atlanta REIA Email List to receive our email updates so you can stay informed on what’s going on at Atlanta REIA throughout the month so you don’t miss a thing. Also, be sure to subscribe to our Atlanta REIA Feedburner Blog Feed so you can receive all of our blog updates automatically via email when we update our Atlanta REIA Website. If you will read our Atlanta REIA blogs and articles and post thoughtful, non-spammy comments, we’ll reward you with followable backlinks to your website which will help improve your search engine optimization (SEO). You should make it a regular habit to read our blogs and post your comments for all of our readers to see. You can start by commenting on this post below right now!